A sweet, simple block this month. Most of my squares were already waiting for me as leftover strips from cutting the previous months' blocks. 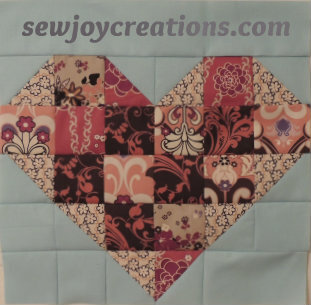 You can see more Heart and Soul blocks at the Aurifil BOM flickr group. Link to April Aurifil BOM block.